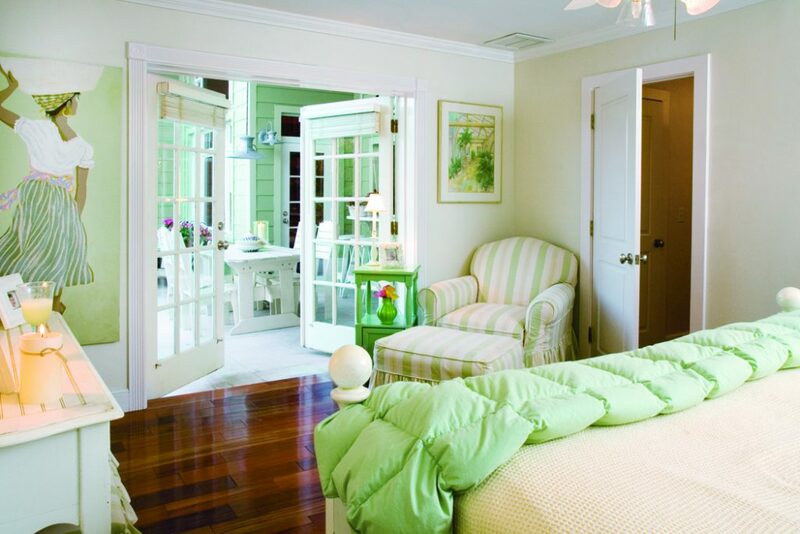 Fun, lush, and playful, this Boca Raton bungalow makes every day feel like vacation. Along the winding Florida Intercoastal Waterway is a fishing dock with a moored rowboat next to a low Boca Raton bungalow cottage swathed in greenery. Here children run after iguanas, peer into the water looking for manatees, and hide from one another in the lush vines and shrubbery. 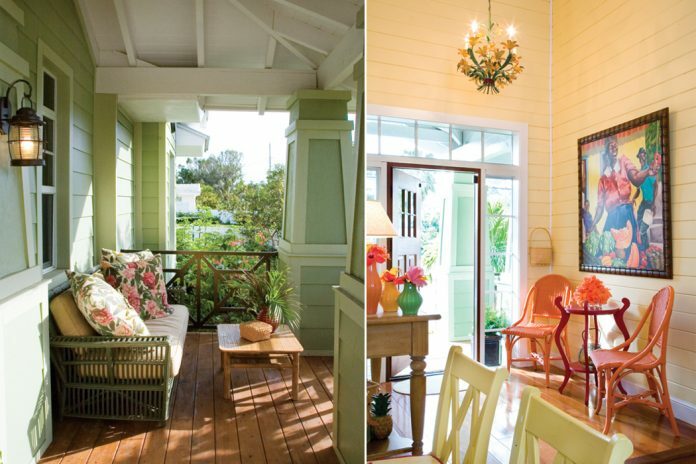 Inside, the cottage walls burst with tropical colors that echo in the vibrant artwork, painted furniture, botanical fabrics, and vases of hibiscus. To anyone looking at vacation brochures, Florida promises a dream holiday of living waterside, kicking your shoes off, eating freshly picked fruit at an outdoor table, and never reaching far for frosty pitchers of icy drinks. 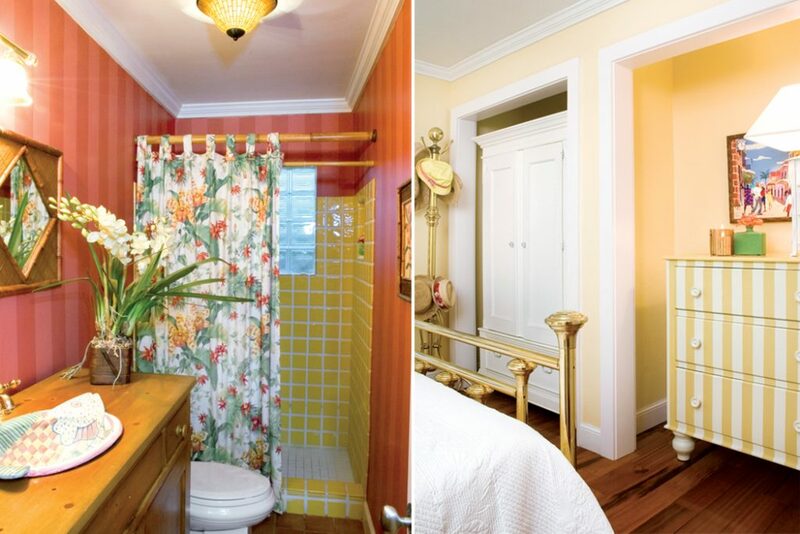 Lisa Kelly, a Boca Raton native, used this inspiration when she updated an early Boca Raton bungalow cottage. Every day, her family wakes to enjoy the best that Florida has to offer.